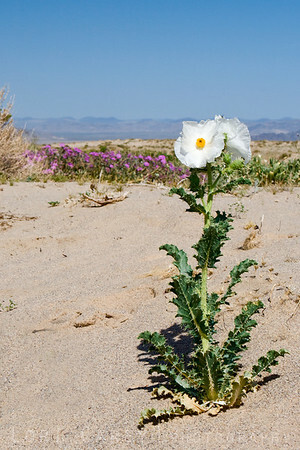 A silver prickle poppy near Soda Dry Lake. Although the plant is highly toxic, it is known to have been used in folk medicine such as eye drops, purgatives and antiseptics. Many deaths were caused by misuse.